For the past few years, Apple’s iPad lineup has had a large and obvious hole in it. At one end, there’s the $329 iPad, an affordable way to do basic computing and run the many excellent apps out there. It cuts some corners with a years-old design, older processors and a less-advanced screen, but for most people it’s good enough. At the other end, there’s the iPad Pro, which Apple has made increasingly more powerful in the three years since it first arrived. At this point, it’s a bleeding-edge device with Apple’s best design, a crazy-fast processor and a big, beautiful screen. It’s also quite a bit more expensive, with a starting price of $799. The gap between those two devices is so pronounced that Apple is filling it with a new tablet, the $499 iPad Air — though calling it new might be a stretch. 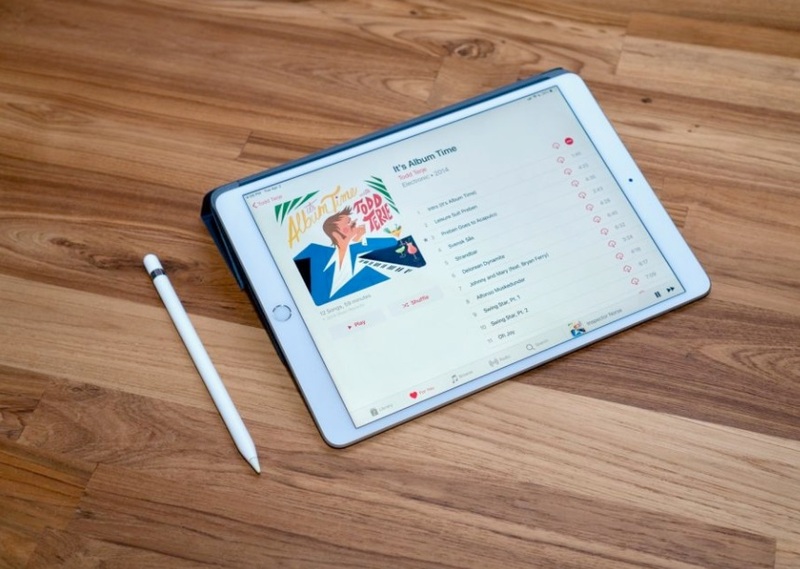 The iPad Air takes the same design as 2017’s 10.5-inch iPad Pro and makes a handful of changes — some improvements and some downgrades to keep the Air out of iPad Pro territory. It’s not the most inspired or exciting product Apple has built (I called it boring after it was announced). But the question is whether its features and improvements over the basic iPad are worth your cash. 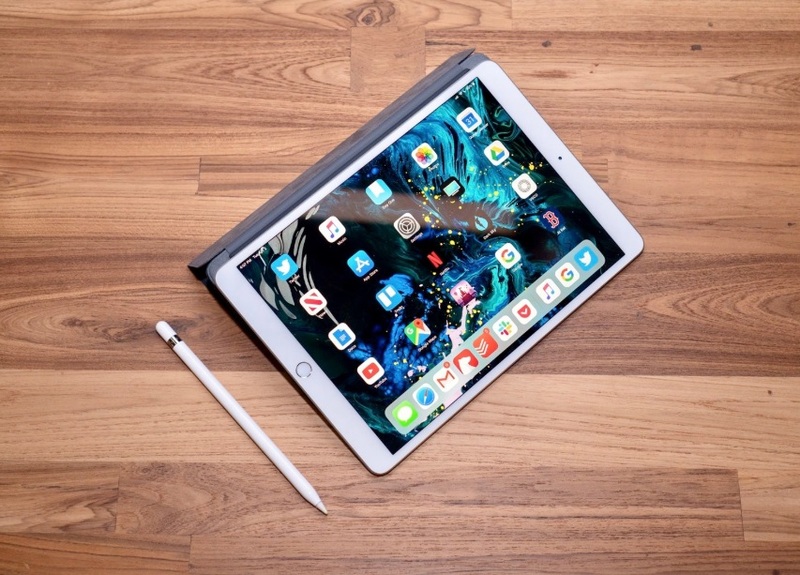 The iPad Air will feel instantly familiar to anyone who has used an iPad since the first Air was released in 2013. It’s a thin tablet that weighs about a pound, with thick bezels at the top and bottom to make room for the Touch ID-enabled home button. Just as it did with the entry-level iPad, Apple took a conservative approach to hardware here — but while the iPad Air doesn’t have the new design or features found in the iPad Pro like Face ID, it gets the most important things right. For starters, the display is a major improvement over the basic iPad. The screen is laminated to the front glass, which eliminates the pesky air gap you’ll find on lesser tablets. 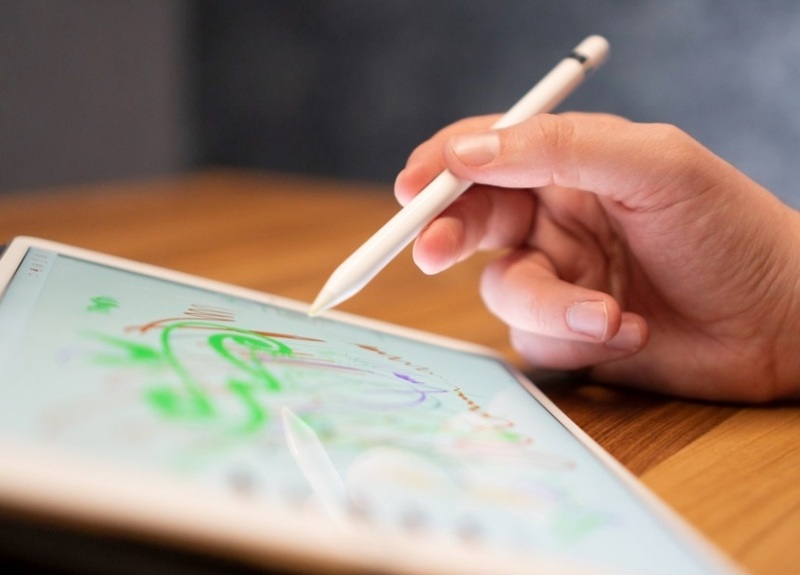 This makes the pixels feel that much closer to your fingertip (or Apple Pencil). It also has antireflective coating, a wider color gamut and Apple’s True Tone technology, which adjusts the color temperature based on the ambient lighting around you. Since I have True Tone on my Mac and iPhone, I’m glad to have it here. I’ll turn it off when editing photos, but otherwise it makes the display far more pleasant to look at. And once you use an iPad with a laminated screen, you won’t want to go back to a tablet without it — that air gap is just about impossible to unsee. These display improvements alone are almost enough reason to justify choosing the Air over the standard iPad. However, the iPad Air’s screen is missing one key feature that the 10.5-inch iPad Pro had: Apple’s ProMotion technology. That enables dynamically adjusting refresh rates up to 120Hz, double the 60Hz found on most other screens. It’s a great feature, but using an iPad without it isn’t a huge downgrade — it’s a corner Apple cut to differentiate the Air from the Pro and to save money, and it’s a trade-off that was worth it. 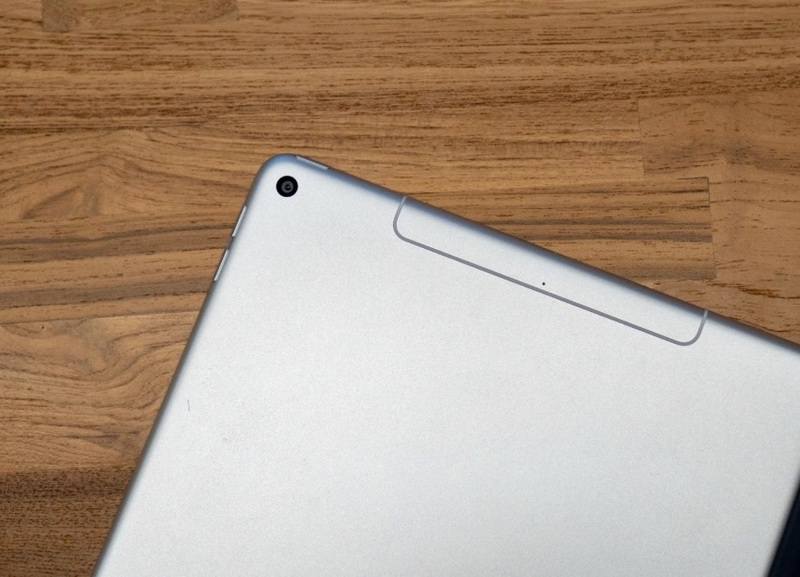 Apple cut a few other corners on the iPad Air to keep its price down. The Air only has two speakers positioned at the bottom, down near the home button. Every iPad Pro model (including the 10.5-inch model this tablet is based on) has four speakers instead, two on each side. While the speakers sound fine, this means that there’s no stereo separation when watching a video. The four-speaker iPad Pro setup provides much more immersive audio, so stepping back in this way is a disappointment. It’s a bummer, but it’s another trade-off to make the Air more affordable. But if we’re being honest, no one is watching movies on an iPad and expecting cinema-quality audio. Chances are good that most people watching videos longer than a few minutes are popping in headphones (yes, there’s a headphone jack here! ), which completely mitigates this issue. Apple also downgraded the back camera, but let’s be clear: It’s not a big deal. The eight-megapixel shooter takes decent photos, but it’s likely that the phone in your pocket does a better job. So please, do that instead. The iPad’s camera does the trick for document scanning and augmented reality, and if you really need to take a picture it’ll get the job done if the lighting is good. This concession that Apple made to keep costs down is totally worth it in my mind. There’s even a benefit: no camera bump on the back! The seven-megapixel, front-facing camera is a big step up over the one on the basic iPad too. That iPad only has a 1.2-megapixel camera up front, far too low for a quality selfie these days. More practically, this camera can do 1080p video calls, and I was pleasantly surprised at how good things looked when doing a few Google Hangouts with my co-workers. Of course, it doesn’t support Face ID, portrait mode or Animoji; those are all reserved for the iPad Pro or one of Apple’s newer iPhones. But again, as a tablet camera, this does the job. Enough about what Apple changed to meet that $499 price point. Let’s talk more about the good stuff. As I said, Apple nailed the screen here, and it also didn’t skimp on processing power. The iPad Air features Apple’s A12 Bionic chip, the same processor powering the latest iPhones (though it’s a step behind the A12X found in the iPad Pro). While the A10 found in the entry-level iPad is no slouch, having the latest processor means the Air is much less susceptible to inevitable slowdowns as it ages. Most people aren’t going to push this new iPad to its limits anytime soon, but the extra headroom should hopefully keep the Air feeling snappy for years to come. Thankfully, Apple also didn’t skimp on storage: The base model comes with 64GB of storage, double what you get in the entry-level iPad. (For the record, the model Apple provided us has 256GB of storage and LTE connectivity, which bumps the price to $779.) Between the extra storage capacity and better display, it’s easy to see exactly where the extra $170 goes if you buy an Air instead of the basic iPad. While this isn’t a “pro” iPad, Apple thankfully included the Smart Connector on the left side of the tablet, which lets you use Apple’s Smart Keyboard. This is a big deal for anyone who wants to do some writing with the iPad Air. Yes, you could just use a Bluetooth keyboard, but there’s something nice about having the keyboard built right into the iPad Air’s cover. It’s expensive at $159, but for someone who types as much as I do, it’s an essential tool. We’ve written about Apple’s Smart Keyboard before; while it’s far from perfect, I find it offers a totally comfortable typing experience if you’re using it on a desk. I’ve been using a 9.7-inch iPad Pro for a few years now, and that tablet’s keyboard is just a bit too small. The 10.5-inch iPad Air is almost imperceptibly larger, but the extra space gives just enough room to make the keyboard significantly easier to use. Put simply, I’m glad I no longer have to spend $800 for an iPad that supports the Smart Keyboard. The iPad Air also supports the Apple Pencil, another accessory that was originally reserved only for the iPad Pro. Unfortunately, the Air uses Apple’s first-generation Pencil, not the fancy new magnetic model, which only works with the latest iPad Pro. As a reminder, you have to plug it into the Lightning port on the iPad to charge it, which is goofy as hell. And the perfectly round design means it is likely to roll right off your desk more often than you’d like. These flaws aside, it’s still excellent for taking notes, drawing or flicking through an app’s interface if you don’t want to use your finger. Like all of Apple’s iPads, the Air runs iOS 12, which is responsive and refined, though not the best choice for people who need to get serious work done. But the flaws we’ve identified when comparing iPads to “traditional” computers running Windows, macOS or Chrome OS aren’t nearly as pronounced on the Air as they are on the Pro. That’s not because of any differences in the OS; the Air and Pro run identical software. Instead, it’s about price and expectations. The base iPad Air starts at $500 with 64GB of storage. That’s a whopping $300 cheaper than the iPad Pro, and that price difference helped readjust my expectations. The majority of people shopping for an iPad Air are probably not concerned with Apple’s vision for the future of computing and whether or not iOS and an iPad can replace a traditional laptop. Chances are they want a device that’s light, fast and well-built; the Air checks all those boxes. And it’s great for all the usual iPad things: web browsing, sending messages and emails, watching videos and streaming music, and running whatever apps and games from the App Store your heart desires. The iPad Air handled all of that easily, and I was also able to do plenty of “real work” with it as well (I wrote this whole review on the Air). As with all other iPads, battery life was excellent — I got more than 11 hours of screen-on time before needing to charge. And it’ll run forthcoming iOS releases for years to come. Chances are good it’ll get more capable as Apple continues to refine the software experience. After a week with the iPad Air, I’m convinced it’s the best iPad for most people. 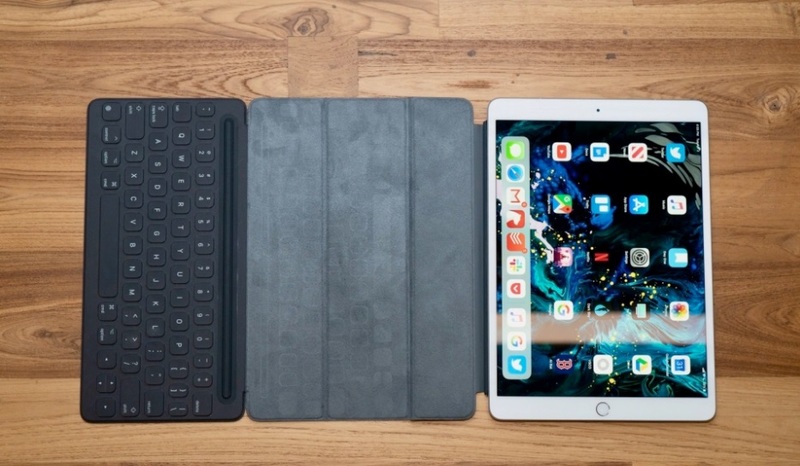 It offers clear and significant benefits over the standard iPad, including double the storage, a much better screen and support for the smart keyboard — while still being affordable. The iPad Pro is a stunning piece of hardware that is simply too expensive for a lot of potential buyers. The iPad Air, on the other hand, nimbly toes the line between Apple’s basic tablet and the Pro lineup. If the iPad Pro is Apple’s vision for the future of computing, the iPad Air is a device meant for right now, with a price point and feature set that’ll make almost anyone happy. It’s the Goldilocks iPad: just right.